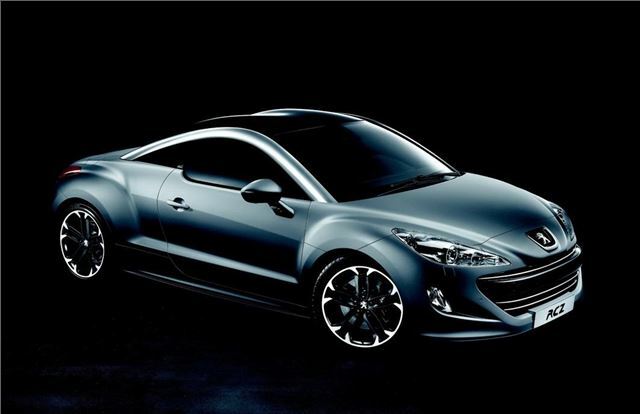 Peugeot is launching a new limited edition version of its sporty two-seater coupe - the oddly named RCZ Asphalt. Priced at £29,995, only 75 right-hand drive examples of the special model will be sold in the UK and orders are being taken now. Although the pictures aren't the best, the RCZ Asphalt gets special matt 'Telluric' grey paintwork and has a bespoke equipment specification based on the top of the range GT trim. This includes a black roof, 'Asphalt' badging and 19-inch Solstice alloy wheels with black brake calipers while power comes from the 200bhp 1.6-litre THP petrol engine with a 0-62mph time of 7.6 seconds. The interior has been designed to be equally striking with bespoke ‘Asphalt’ branded and stitched Nappa leather trim, an Alcantara and leather steering wheel and gear stick, wplus bespoke ‘Asphalt’ sill covers and floor mats. Additional standard specification includes front and rear parking sensors, automatic lighting (with approach and follow me home modes), Peugeot Connect Media Navigation and a top-of-the-range JBL sound system.